Everything looks so lovely. Happy Christmas! Your decorating/housekeeping look almost as perfect as your quilting! Beautiful. 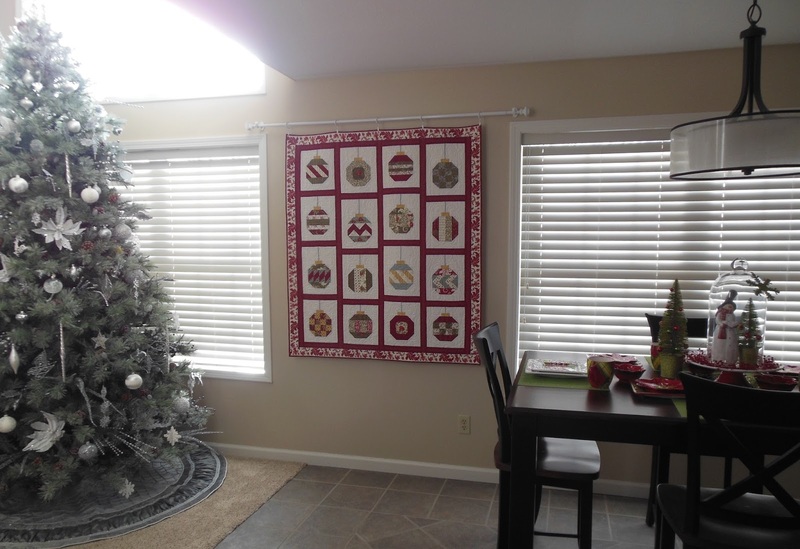 Your home looks SO beautiful with all of your Amazing Christmas quilt !!!! They all look very nice in your lovely home! How lovely to see all your Christmas quilts in use. BeUtiful quilts, thank you for sharing them with us. I have a few around my house as well. It's so fun getting them out. I love your Christmas parades. Do miss the red sofa though and Cooper in the middle of at least one of them. Merry Christmas!! 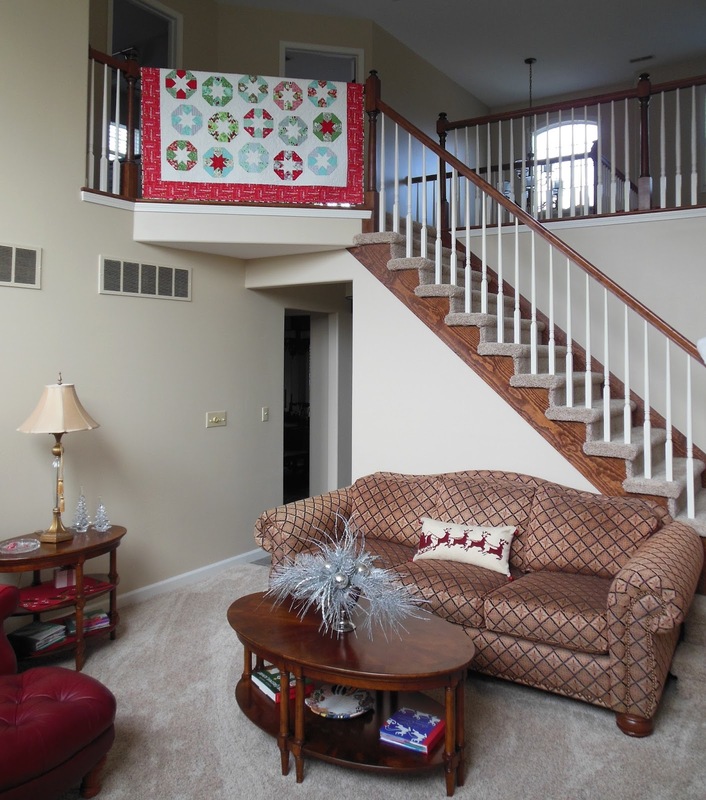 Oh my goodness, your Christmas quilts are wonderful. I made my first one this year, when my sweet husband asked for a Christmas quilt for his present. I gave it to him just before Thanksgiving, so that he could enjoy it through the holidays. 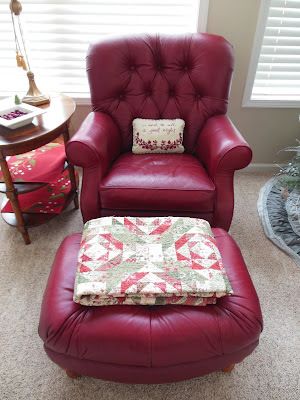 Your quilts are amazing, I am so delighted that I found your blog. I have only been quilting now for 2 years, but once that quilting bug bite you . . . you're a goner, LOL. I am your newest follower and I'm going to add you to my blog-list so that I'll see each time you publish a new post. Thelma, Please never stop sharing and bloging... You are totally inspiring and I and so many others enjoy your Blog and sharing with all of us.. Thank YOu and Merry Christmas and a Fabulous New Year.